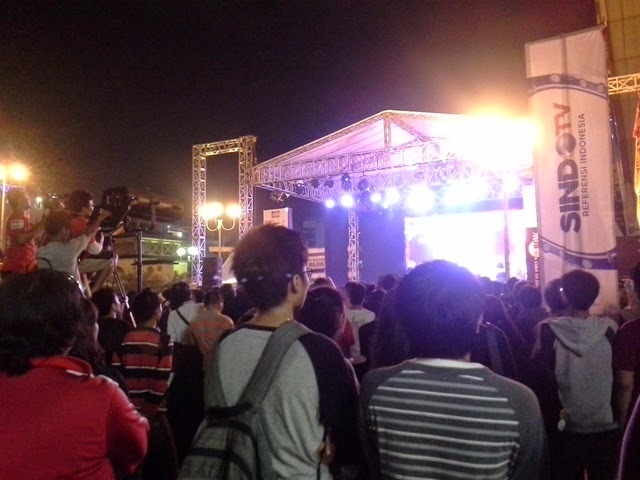 It's almost 2 months since I went to Ennichisai festival 2014 but only manage to post about it today. My oh my. I'm so lazy, eh >///<. By the way there's a lot of commotions regarding this festival a month ago because one of the committee said that there will be no Ennichisai festival in 2015. This is due to illegal levies that imposed by local government. I even tweet about that article to vice governor of Jakarta, Ahok. Luckily, after that the committee said that Ennichisai festival will be held again in 2015 as planned. 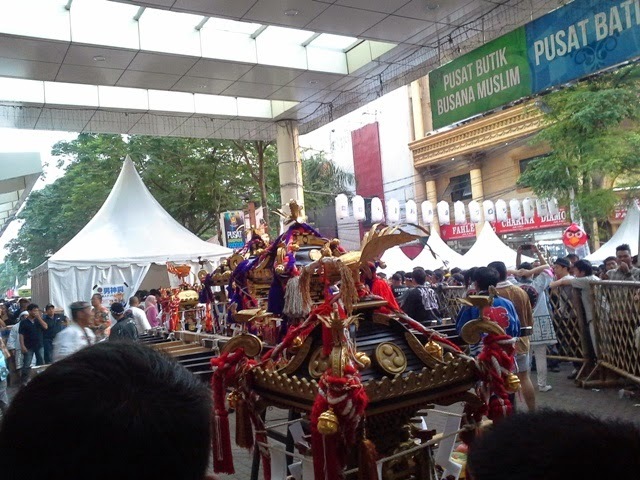 I only went there with one of my friend on 25 May 2014, the 2nd day of the festival. 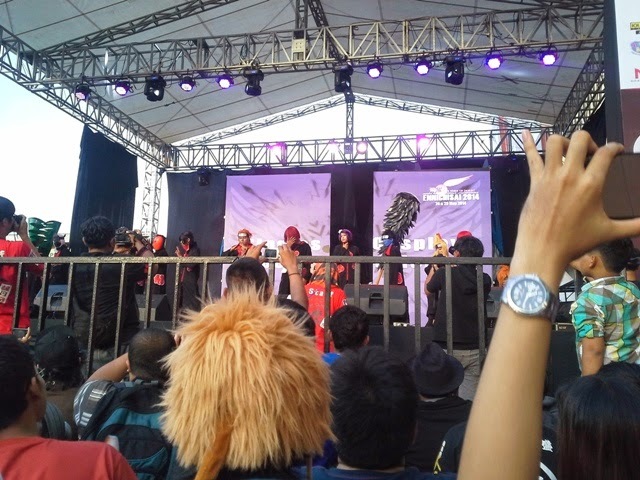 I went to see the cosplay, the karaoke competition and performance from several musicians. The festival was really really crowded. First, I went to several food and beverage stands. A Japanese festival like this is one of place where you can buy lots of Japanese food and beverage. There's also several shops that sell merchandise and apparel of anime and manga. I really want those Attack on Titan survey corps jacket. I also want Ryuko Matoi jacket from Kill la Kill, Tetsuya Nigo dolls and Magi T-shirt. But those things are really expensive and I didn't bring much money to this festival, hence I bought nothing but food and several manga. Ha ha ha. There was a lot of people cosplaying in this festival, albeit there's no one that really astounding. But I really enjoyed the karaoke competition and the musician performance. The winner of the karaoke competition was someone that cosplayed Aomine Daiki from Kuroko's Basketball and sang the theme song of the anime. While the guest musician performances were from AmourMico and SAGA. Amour MiCo is a Japanese singer who was born in Manado, Indonesia and grew up in Japan. She's a talented singer under Pony Canyon Records, and has released her first debut mini album titled "MiCopedia" back in April. Her music is nice but not my cup of tea. 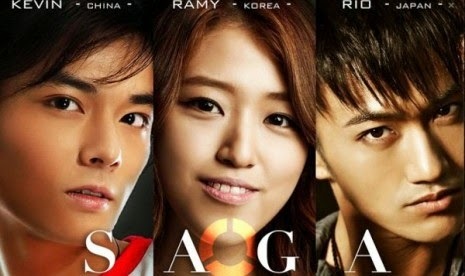 SAGA is Asian pop music trio group debuted in 2014. There are 3 members that come from 3 different country, i.e Japan, South Korea and China. Rio, the producer and the programming is from Japan. Ramy, the female singer, is from Korea and Kevin, the male singer, is from China. I love their music and become fan! I might write an article about them later. If you want to know more about them, kindly visit their Facebook page and hear their music on their Soundcould. Overall I love this festival! But it was so crowded that it's even hard to move. I might come again next year if the guest stars are good.